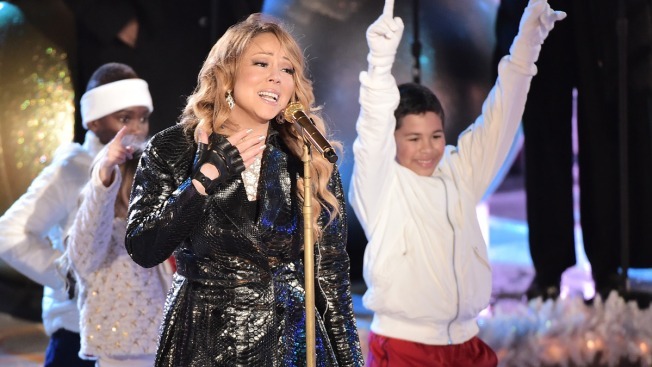 File - In this Dec. 3, 2014 file photo, Mariah Carey rehearses for the 82nd annual Rockefeller Christmas Tree Lighting Ceremony at Rockefeller Center. Carey's Christmas classic "All I Want For Christmas is You" is being turned into an animated film. Christmas fans, rejoice! Mariah Carey announced on Twitter that her holiday hit, "All I Want for Christmas is You" will be turned into a film. "I am so thrilled!" the singer said in a tweet. The animated film is based on Carey’s song, according to the movie’s Twitter account. A teaser of the movie plays Carey’s song and features her sitting on a couch with a dog, while she says "I don’t want a lot for Christmas, there’s just one thing I need." The film is set to come out later this year.